On Friday, I outlined my multi time-frame outlooks — very short, short and intermediate term — for the S&P Index. As I noted it is important to emphasize that this exercise is not meant to imply precision of forecast, its just an exercise I use to develop a broader guideline to trading and investing. We have subscribers with differing risk profiles, from day traders to long term investors, and with differing timeframes. Higher, but not materially so. 2750-2775 seems a reasonable guesstimate. I plan to scale into a net short position on strength, but I will give the market a wider berth today and into the first few days of the second half (inflows expected). Lower, but not materially so. I expect a series of tests of the S&P level 2675-2710. Lower, a break towards “fair market value” of about 2500 is my expectation. The second quarter of 2018 was period in which politics, specifically the combative actions of our President, transcended (in importance) even the actions of central banks. I expect this to be the case in the last half of this year. The traditional view appears to be that Trump’s hardline tactics with China is another example of “The Art of the Deal,” where strategy can suddenly make a U-turn and the White House can declare a win. I respectfully disagree and view the Administration’s stance as an act of economic warfare based on spurious economic theory. (The relationship between imports and US GDP is not inverse as Navarro and Lighthizer apparently believe. Rather, over history, there is a direct relationship between deficits and US GDP). Moreover, it appears that Trump is targeting a more combative strategy against China’s upgrading of its economy in an attempt for the US to maintain global economic leadership. As such, Trump’s China policy may be more than just tariffs. I see the policy relationships between the US and China as well as with Mexico, Canada and others jeopardizing and souring previous bilateral relationships as a broader protectionist strategy that could “have a life of their own.” This could have a meaningful impact on business and investor, global economic growth and on our markets. That economic impact could even be more deleterious than the pivot of global monetary policy from ease to restraint. At the same time hastily crafted trade policy (conflated with politics and done on the back of a napkin) is market disruptive and unfriendly, we have reached a pivot point in global monetary policy (towards restraint). This a potentially toxic market brew. Too many traders and investors are less thoughtful and more impulsive with regard to buying and selling securities than when they purchase a refrigerator or a television. Too many want an easy path to investment riches — ideas coming forth from business television, or books that purport to explain “how to make millions” in the market. Even stock ideas from friends, relatives or on Twitter are often seen as pathways to investment success. But there is no easy path for consistently profitable investing. It requires a lot of hard work. The investment and asset-allocation processes can hold more weight and is more complex than nearly any other business decision. A host of variables, known and unknown, contribute to the investment alchemy. As well, subtle and unconscious influences and personal biases affect the process as we all seek Mr. Market’s metaphorical green jacket (like the one won by Jordan Spieth in this year’s Masters golf tournament). What follows are some basic tenets that form my investment consciousness, which are admittedly simple to write about but far more difficult to execute. If you don’t know yourself, Wall Street is a poor place to find yourself. There is a reason why there was a church on one side of the old New York Stock Exchange building and a cemetery on the other. Do not get emotional in making investments, and however eloquent the strategy is, it is the results that count. The ecstasy of getting investment performance right is always eclipsed by the agony of getting it wrong. If you are uncertain or temporarily lack confidence, raise your cash positions and reduce your risk profile. If you are a technician, keep all your charts, just as the fundamentalist should write up a summary of each investment. Reflecting on past mistakes/successes is as important to a technician as it is to a fundamentalist. A combination of mostly fundamental and a dose of technical input is usually a recipe for investment success. Regardless of one’s modus operandi (fundamental, technical or a combination of both), logic of argument and power of dissection are the two most important ingredients in delivering superior investment returns. Common sense, which is not so common, runs a close third! Neither be a Cassandra nor a Sunshine Boy! It is much easier to be critical than to be correct, as financial disasters are always impending by the ursine crowd. Conversely, the outlook is never as perfect or clear as it is seen by the bullish cabal. Within limits, stay independent in view. Above all, remember equilibrium is rarely observed in the stock market. To quote George Soros, “Participants perceptions are inherently flawed” (at least to varying degrees). Let your profits run and and press your winners, as knowing when to seize opportunity is one of the basic principles to investing. But stop your losses, as discipline always should trump conviction. History should be a guide but not a jailer. There is little permanent truth in the financial markets as change is as inevitable as it is constant. Do not extrapolate the trend in fundamentals in your company analysis nor in the trend in stock prices. Be independent of analytical and investment conclusions, greedy when others are fearful and fearful when others are greedy, but always remember that possessing a variant view has outsized risk as well as outsized reward. In buying a stock remember risk/reward is asymmetric. A long can climb to indefinite heights and one can only lose 100% of the value of each investment. Buy value, but only with a catalyst. When longs have high short interest ratios, investigate the bear case completely. In shorting a stock, remember risk/reward is asymmetric. A short can only return 100% (a bankruptcy) but can rise to indefinite heights. Never make conceptual shorts without a catalyst. Avoid shorts when the outstanding short interest exceeds five days of average trading volume. Use leverage wisely but rarely as financial markets are inherently unstable. While the use of leverage can deliver superior investment returns when the wind is at your investments’ back, it can also wipe you out when events fail to conform to your expectations. Only the best of the best consistently time the proper use of leverage. There is no substitute for a thorough knowledge of financial accounting. Accounting can be misleading, opaque and unaccountable, but free cash flow rarely lies. Always be self-critical, and once your view is formulated, be open to criticism from others that you respect. Take their criticism and test your thesis (constantly). Avoid what G.K. Chesterton once mused, “I owe my success to having listened respectfully to the very best advice, and then going away and doing the exact opposite.” Bullheadedness will get you into trouble in the investment world. Invest/trade/speculate only if you are not dependent upon the investment profits to maintain your standard of living. A stable personal and financial life, outside of investing, is typically a necessary ingredient to investment success. Take vacations and smell the roses. When you return you will be rejuvenated and a better investor/trader. Be well-rested and in good shape physically.“Investing is 90% mental; the other half is physical” (another Yogi-ism). Keep your investment expectations reasonable and expect to make mistakes as perfection is not attainable. Nevertheless, by all means, try to chase perfection as the byproduct will be investment excellence. Learn from those investors who have excelled by reading and re-reading the classic books on investing. To begin with, never lose sight that I “eat my own cooking.” I trade and invest actively, sometimes in size, with real money from my investors. When I screw up and make trading and investment mistakes, it is financially painful to me. These are not paper trades like many other services provide. When my ideas go awry, I can’t help but also be affected emotionally with regard to subscribers who have embraced my ideas. You should all know, I take this to heart. Secondly, I work hard in delivering my Diary to you, starting my day at about 5 a.m. and often staying after 6 p.m. Maybe I don’t work quite as hard as Jim “El Capitan” Cramer (who has a remarkable work elan and ethic), but I work damn hard for subscribers. Above all, to keep subscribers engaged by providing profitable short-term trading and thoughtful investment ideas on both the long and short side. Deliver (an often) variant and non-consensus view based on hard-hitting analysis of individual stock ideas, sector work and market views. In doing so, at times I intentionally want to make you uncomfortable with some of your investments and with consensus notions — playing devil’s advocate — for the purpose of having you often question your holdings. That’s a healthy process! When appropriate, my individual analysis will be extensive. Other times I will highlight an investment case more briefly with bullet points and in summary form. Actively share insights and observations I gain from individual company management visits, telephone and conference calls. Communicate transparently what, why and when I implement trading and investment ideas. I try to deliver both fast money ideas and slow money ideas, depending on market conditions. I indicate the size (small, medium, large) of all my trades and investments so subscribers can recognize my relative commitment, conviction and weighting. Communicate, sometimes in detail, an analysis of macroeconomic events that might influence the capital markets. Pass on breaking business news that can impact markets/sectors/stocks. Write in an easy and even fun manner through the intersection of serious research and pop culture. I want to keep you informed AND entertained. Don’t Know, The Most Important Thing, etc. (There will be additional different ideas and new columns in the near term). 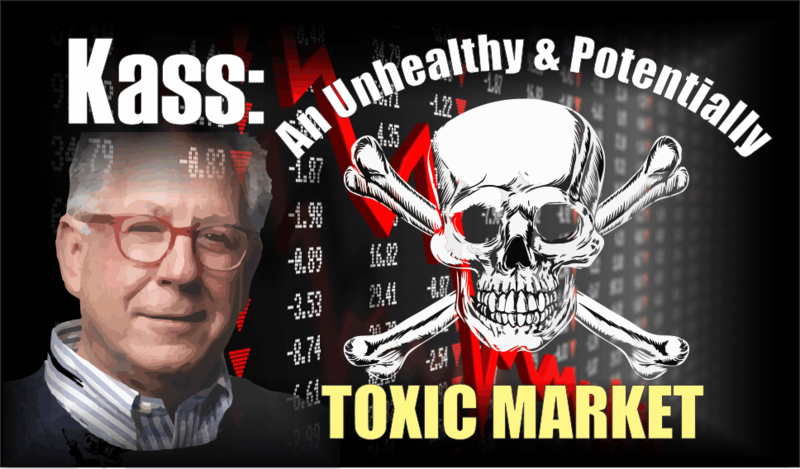 I endeavor to be objective and try not to be self-confident in view as I have learned over a couple of decades that Mr. Market is here to embarrass the most people, most of the time. Mr. Market doesn’t exist to make us money — that is our job. Interact respectfully with our subscribers in the Comments section and with other contributors in the Columnist Conversation area. In doing so, I encourage you all to challenge my/our views and theses. The only thing I ask is for you to be respectful, as I will be with opposing views. I will qualify my views, as the only certainty in this business is the lack of certainty. I will always admit my mistakes. More importantly, I will write about why I made boners, hopefully learning from each experience. Finally, my Diary, Jimmy Cramer and the contributions of others should not be taken in isolation. Our contributions should be used in conjunction with doing your own homework. You hold the responsibility and pull the trigger to your own investment decisions — we do not. As stated above in today’s opening missive, our ideas are simply jumping-off points and investment input upon which more primary research should be performed by all of you. I hope this outline of my core investment tenets and objectives and goals of my Diary are useful to all of you this morning.